Only one show could tear me away from the 200th musical episode of “Supernatural,” and this week’s “Mindy Project” did not disappoint. Trouble in the Lahiri-Castellano relationship paradise! Mindy Lahiri (Mindy Kaling, “The Office”) witnesses boyfriend Danny Castellano’s (Chris Messina, “The Newsroom”) mom, Annette Castellano (Rhea Perlman, “Cheers”) shoplifting a leather bomber jacket. Mindy accuses Annette of stealing without referencing the bomber jacket incident and angers both Danny and Annette. Meanwhile, Peter Prentice (Adam Pally, “Happy Endings”) continues to date romance novelist Abby Berman (Alison Tolman, “Fargo”). Abby reveals herself to be too much of a "cool girl" for Peter. She’s all for all night dance parties but she hates brunch! That’s a dealbreaker. Over a guilt-laden dinner, Mindy reveals that she saw Annette steal the jacket, and Annette confesses to the action. Danny and Mindy make up, and Annette forgives Mindy. Mindy, Danny, and Annette attempt to return the jacket. However, the store clerk threatens them with a call to her supervisor, which in Annette’s mind, means potential jail time. The trio decides to flee the scene and keep the jacket. This episode had a lot of great visuals, including Danny in the bomber jacket with aviators* (more on that later) as well as Peter in neon rave attire. Morgan Tookers (Ike Barinholtz, “The League”) had too few one liners, but I am loving the increased remarks from Annette’s seemingly omnipresent best friend, Dot (Jenny O’Hara, “Franklin and Bash”). Overall, this season is progressing well, which thanks to my general TV experience and current close viewing of “The Wire,” means that the series is due for some major conflict soon. *The highlight of this episode was Danny wearing his bomber jacket and aviators, dancing, quoting and reenacting “Top Gun.” He called Mindy “Goose.” The end scene alone is worth your time. Mindy is illegally streaming movies, and Danny is repulsed! I love it. I’m still big into the contrasts in their personalities playing off each other. Danny's confessions were so boring, according to Annette. Swoon. 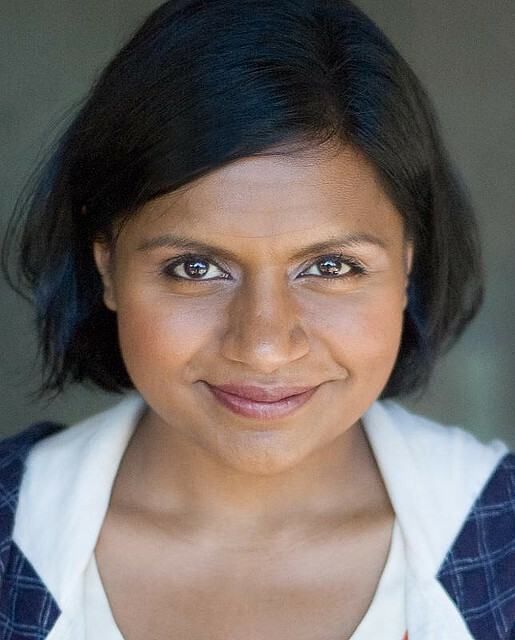 Mindy's romance novel idea: “Twilight,” but SHE'S the girl. This is eerily similar ideas I have had about inserting myself into the "Arrow"/"Flash" universe. As Felicity Smoak, of course. I would love to join Annette Castellano and Dot for a casual viewing of "Passion of the Christ." **Note: this author does not endorse illegally streaming TV. Tune in to “The Mindy Project” on Tuesdays at 9:30 p.m. on FOX.